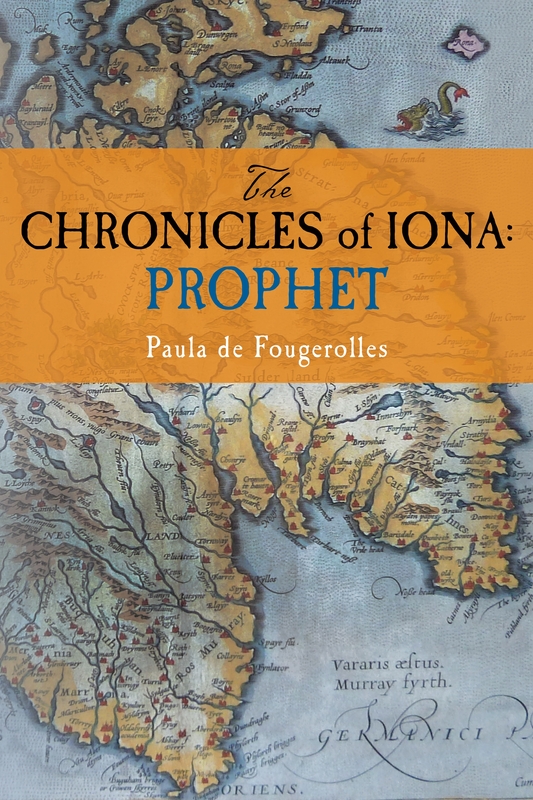 I know you’re anxiously awaiting Island-Pilgrim, Book 3 in my historical-fiction series, The Chronicles of Iona–and I’m writing! I’m writing! But, my goodness, novels do take their time. So … as I’m working, I thought it’d be fun to post the book in installments here on my website, starting with the preface. In fact, I’d love your feedback! What moves you? Who and what would you like to see more of? Who and what less? Keep me posted with your thoughts. By now, you know the characters. Columba: our fiery abbot, a maverick and free-thinker–exiled from Ireland in 563 A.D. and now ensconced on his beloved island of Iona off the west coast of Scotland. And Aedan mac Gabran: our down-and-out Scottish warrior, a wanderer, an adventurer–who is now, suddenly and unexpectedly, the new king of his people. Oh! Dear God! The boys will die! Not much time now. No time to race to them through the crush, to intercede, to spare them death from those hacking swords. Except … they are no longer boys. They are not as they are now. They are men. Noble, valiant, vibrant men, in the prime of their lives; vital and strong. Look at them on their bright steeds! At the fore of the vanguard, laughing! Just as their father Aedan had taught them. Just as he had done. Aedan, Columba’s anam cara. His friend, his soul’s companion. None more dear. These boys? These men! They are invincible! No spear can reach them, no arrow; certainly not those horrible, relentless blades. They are safe from harm. Free from pain. No. Blood clings to their beautiful faces. They stumble and fall. Their enemies have them now. They ring around them, prodding them; taunting and laughing. He is too far away to save them. He will not be able to reach them in time. He knows what is coming. So do they. Oh! No! No! There go their heads! It is too much. Columba wrests open his eyes. A scream is choking him. He tries to push it out, but his throat is so tightly constricted with fear that he can only gurgle. He forces himself to breathe, gasping in air as he looks around wildly. Some of his panic abates: he knows this place, Deo Gratias! He is in his little sleeping hut. 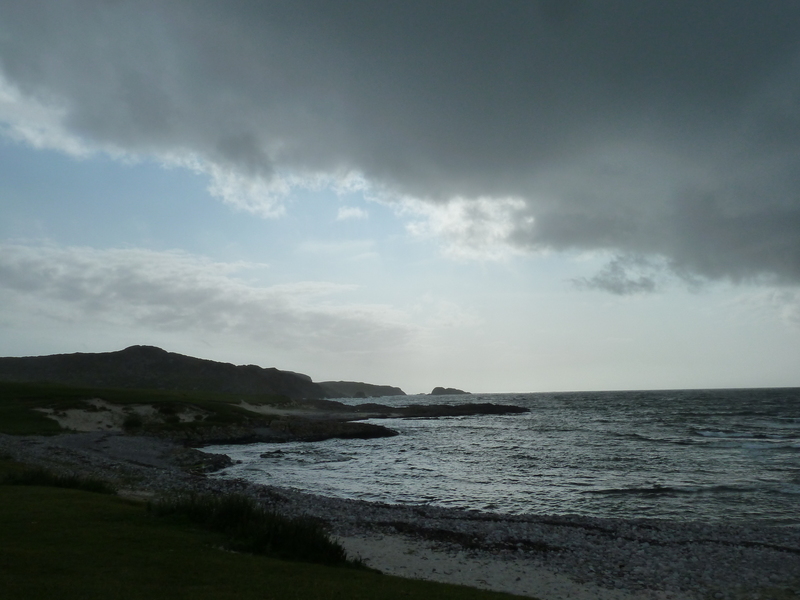 On Iona. Iona. Here is the smooth oval sea-stone he uses as a pillow, here his serviceable blanket; all around him the tightly interlocking masonry of the curving walls of his cell, damp now with morning mist but not cold. Sea breezes whistle through the cracks. He remembers when they built it: after the magna domus, the needs of his men coming before his own, but before his beloved scriptorium. There is no morning light yet leaking around the doorframe … but there is movement in the shadows. Dear God! The half-light, there in the corner, is shimmering. Sheets of light and of dark macabrely dance. He may feel as if he is awake, but he is still between worlds, caught between sleep and true wakefulness. His fear rushes back. If possible, he is more afraid than before. The sheeting of the half-light means that his terrible nightmare, his waking dream, is a message. He is seeing through. It is not a sight he wishes to see. He struggles but he is pinned to his bed, sweating and shaking, unable to move. He fights his unnatural paralysis until he again has control of his limbs. With effort, he jerks himself upright. In the curve of his hut the shadows are still shivering, almost alive. The sheets of penumbral light shake and shudder. He sees through them to the lumpy protuberances of the stones behind, then they close again. It is a dance, and not a merry one. They seem to mock him with what they know. What they wish him to know. He will not have it! With superior strength of will, he wrests back some of his customary bravado. He has witnessed these kinds of otherworldly apparitions many times before, has dwelt with them in amity or has vanquished them as needed. He is a warrior for the light. Besides, these are his customary domains. This is Iona! His Iona. How dare they disturb him here? He grabs for the cross around his neck, thrusts it out in a fist he is alarmed to see is still shaking, and begins to croak the Pater Noster. He takes immediate comfort from the rite. This prayer of prayers has always come easily, has always managed to exorcize darkness, in whatever form it has threatened him. With growing confidence, his voice gaining strength, he continues to intone this most holy of charms. Unbelievably, he falters. On the libera nos! The libera nos! Astounded, he realizes that he has forgotten the rest of the prayer. He can not find the words for what comes next. No—that’s not quite right. Rather, something is squeezing shut his throat, preventing those most important next becharmed words to be canted into the light. Dear God! He will not allow this! He will not! The boys are precious. Aedan loves them. He loves them. They are the sons Columba will never have. Again, his innate stubbornness rears up. If the prayer will not work—because his own body can not respond—then he will reason through this madness. He will employ the great acuity of his senses, his towering intellect. This nightmare is a creature of his fears, he reasons, conjured up by the violence of his affection for the friends, the family he has unexpectedly found in his exile, here in Dal Riata. It has to be. He himself has brought this atrocious vision into the world of man. He is its creator. So this vision is not a true vision, he tells himself: it is not a message from his Lord. It has nothing whatsoever to do with what his Lord revealed to him before he consented to ordain Aedan as king. It is not premonition. In no way is it prophecy. Suddenly desperate to be free of his cell, to flee the mocking shadows he has been unable to banish, Columba throws off the blanket tangling around his legs. But those normally sturdy legs will not obey him, buckling under him as he tries to stand. Instead, he lurches for the door of his hut, throwing it open to thrust his sweaty face out into the brisk morning air. It is fresh and salty and there are drops of rain in it. Braced in the doorway, he welcomes the rain with upturned face. Shaking his head to clear it, he trains his eyes on the beloved, familiar sights of his island-monastery home, hoping they will anchor him here, pull him back from that other, wretched place of pain. But there is a strangeness to the air, even outside his hut. It too is shimmering, in a way that is not a precipitate of sea-mist and morning. The shadows are clinging stubbornly. It takes a long time for his world to return, to settle back into its accustomed shapes and forms. It helps when the brothers begin to emerge from their own sleeping cells into the early morning light, their voices calling out to one another sleepily. He takes immeasurable comfort from their well-known, beloved faces. Columba huddles in the doorway, on the threshold, shivering, until this mortal realm clicks back into place. Eventually he can rise and begin his day. He can wash his face in the clear cold water of the stone trough set by his door, refreshed each morning by his brothers. He can don his sandals; make his way to the chapel for the hour of prime. He can lose himself in the lilting, measured, joyful songs that they sing at that hour to greet the day, to welcome their Lord back into the light. He can reassure himself: it was not a communication. It was not a vision. It will not come to pass. He can ignore the fact that he has never known his Lord to lie. So far, so good. Can’t wait for the book to come out!